The shirt was see-through and the sleeve length was at least 2 sizes too short. I will stick with Brooks Brothers. Response from Charles Tyrwhitt: It's certainly disappointing to see that your first purchase with us was not to your liking. We truly believe we offer the best quality shirts out there - and the overwhelming majority of our customers would wholeheartedly agree. 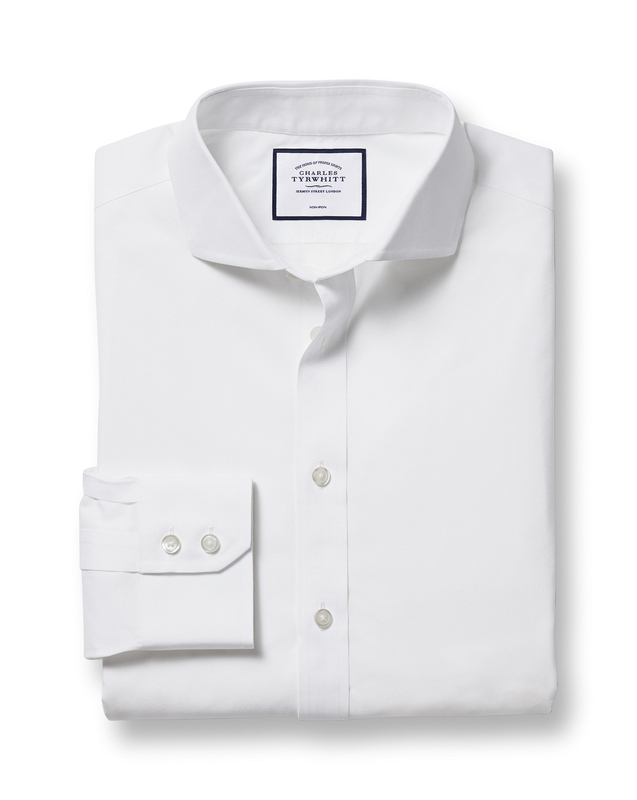 In regards to the shirt being "see-through", you have opted for the Poplin weave - the lightest, thinnest weave available. While this is great for warm summer months, it isn't for everyone. We would recommend something a little thicker like the Twill, Herringbone or Panama. I'm sorry the sleeves were too short for you. At 35" these are on the shorter size for your collar of 17" - the "standard" would be 362 or 37". You are welcome to return these shirts to us for an exchange or refund, as we would love for you to be able to give them a proper try! Response from customer: How do I return them to exchange them for a Twill and different size? It gets no better than this style for me! I have historically worn BB non-iron, which also are of good quality. However, for my build I find the extra slim CT to by a very nice cut - and a very nice appearance in the spread collar. Even the Milano in BB is a little baggy. The quality of the CT shirts appears to be very good, though I can comment just after a few washes so far. I have generally experienced 2 plus years of wash and wear on BB, hopefully the performance of CT will match that. Also, the brass color stays are a nice touch. I assume many reading this review will be considering between CT and BB; I personally would say the two are very comparable, with the CT being more of a modern fit, and BB being a little more 80’s Wall Street boxy cut, even in the Milano. For me, CT gives the appearance I prefer to wear. Paired with a sport coat or with a suit, you can really stand out from those that grab a generally unfitted shirt off the rack from Macy’s, etc.